These burgundy Murano glass ''pearl'' earrings were lovingly handcrafted by master artisan Lorena. On Venice's famed glassmaking isle, our artisan uses the centuries-old tradition of lampworking to recreate the opulence of a pearl. Each burgundy Murano glass ''pearl'' is hand-strung one at a time into these classically-styled earrings. 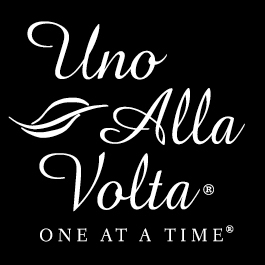 Handcrafted exclusively for Uno Alla Volta, from the heart and hands of the artisan. Dimensions- 1.75 inches long, wires.